GET YOUR VACATION STARTED EARLY - 2:00 PM - CHECK-IN EVERY WEEK! This Outstanding Beach Home has it All! Good Beach Access at 3rd Street and/or 2nd Street each is approx., 270 yards away! This Home is sure to be a Family Favorite. Like to Golf? Each Rental Guest receives Kilmarlic Golf K Club Privileges. Ground Level: Parking for 4 Cars, Game Room w/Foosball Table, Queen Sleep Sofa, Wet Bar w/Refrigerator & Microwave, Full Bath, 2 Bedrooms (1 w/Queen & 1 w/2 Singles), Laundry Area, Access to 12x25 Private Swimming Pool, Hot Tub in Screen Porch, & Enclosed Outside Shower. Mid Level: 3 Bedrooms (2 w/Queens & 1 w/2 Singles ), 2 Full Baths, & 2 Covered Decks. 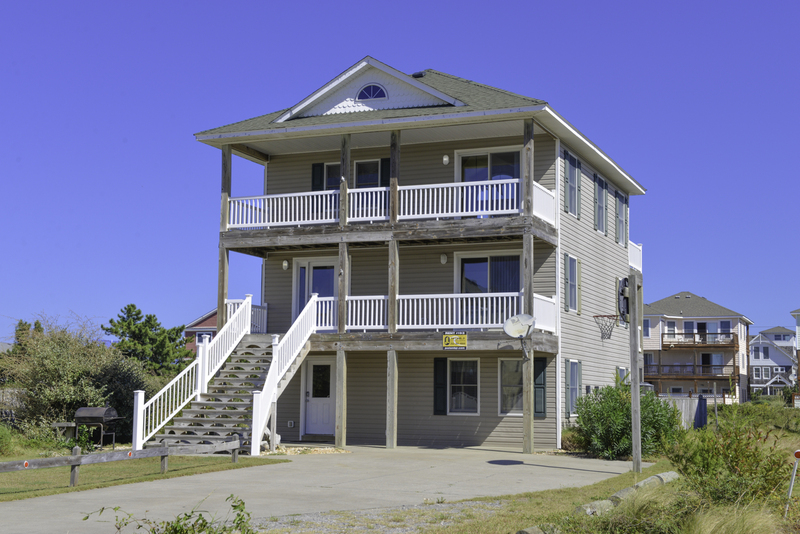 Top Level: Spacious Living/Dining/Kitchen Area, TV, DVD, Half Bath, Covered Deck, & Sun Deck. 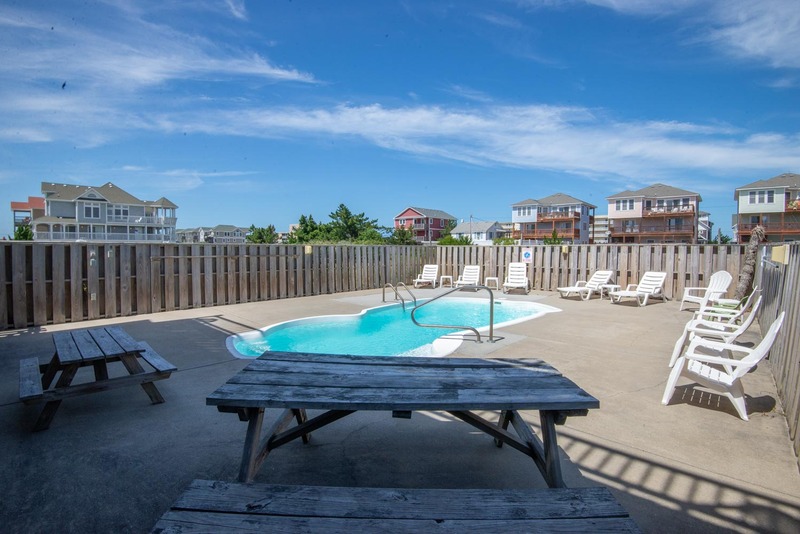 Features include: C/AC & Heat, Washer/Dryer, Dishwasher, Microwave, Phone w/Answering Machine, DirecTV, 7 TVs, 7 DVDs, 2 Stereo's w/CD Players, DVD Library, Wireless Internet Access, Baby Equipment (High Chair & Port-a-Crib), Deck & Pool Furniture, Porch Swing. No Pets. This is a Non-Smoking Unit. shopping, restaurants, etc.. and of course the ocean. Alot of steps, but worth the climb.Hot tub and pool where great.Everything is close by.Front and back porches,one is always out of the wind or rain,and one is always in the sun or shade. We hope you enjoy this home as much as we did! This was a perfect house for a large family get together. We all agree that we would rent this house again next year. The home was nice and had everything for a large family. We had a great time. Nice house, pool and walk to beach wasn't bad at all. We all had a great vacation!!! Great location. Just a short walk to the beach and on a quite street with no traffic what so ever. Spacious beach house as well with great amenities. This is an excellent house to vacation in! !